* Corresponding Author. E-mail : Taxonomy, Aleyrodidae, new species, new records, China. * Corresponding Author. E-mail : colonization, aquatic insects, artificial substrates, stream , Taiwan. * Corresponding Author. E-mail : Spodoptera litura cell line, AcMNPV, recombinant protein expression, cell population doubling time, medium supplements. * Corresponding Author. 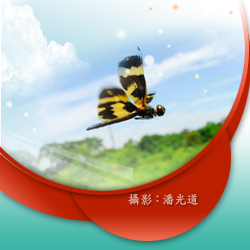 E-mail : Taiwan, firefly fauna, national parks, temporal and geographic distribution, zoogeographic element. * Corresponding Author. E-mail : Resistance, Muskmelon, Aphis gossypii, Aphelinus gossypii, Compatibility. * Corresponding Author. E-mail : eriophyid mite, new species, gall, weeping willow, Taiwan. * Corresponding Author. E-mail : colonization, aquatic insects, artificial substrates, substrate size, streams. * Corresponding Author. E-mail : Trichius signatus, holotype, new combination, new synonym, Taiwan. * Corresponding Author. E-mail : Helicoverpa armigera, Spodoptera exigua, Spodoptera litura, nucleopolyhedrovirus, characterization. * Corresponding Author. E-mail : Siphonaptera, Ischnopsyllidae, bat flea, new species, Taiwan. * Corresponding Author. E-mail : phytoseiid, development, fecundity, feeding amount. * Corresponding Author. E-mail : phosphine, diffusion, corn, sorghum, paddy rice. * Corresponding Author. E-mail : Berberentulus, taxonomy, Taiwan. * Corresponding Author. E-mail : mayfly, Cloeon marginale, fluctuation, habitat, aquatic insect. * Corresponding Author. E-mail : Mycterothrips, Taiwan, auratus, caudibrunneus, ravidus. * Corresponding Author. E-mail : Lycidae, new species, Synonymy, Taxonomy, Southeast Asia, Taiwan. * Corresponding Author. E-mail : bean weevil, male harassment, mean crowding, total eggs laid. * Corresponding Author. E-mail : phytoseiid, response, food amount. * Corresponding Author. E-mail : Steinernema carpocapsae, entomopathogenic nematode, Ostrinia furnacalis, Asian corn borer, paste formulation.